We are slightly perplexed with the news that Yahoo is going to have a name change. Why would a brand with such a globally recognised name change it? Everyone is a Google user these days. You do not search the internet anymore you GOOGLE it. Could Altaba (the new name of Yahoo) be clutching at straws to survive in an industry of one dominant force. Is it doomed to the fate of those who fell before it? Lycos? AltaVista? Webcrawler? These are just names that faded in the past of internet search engines will Yahoo/Altaba be one of them? Will you be Altaba-ing it? IMAGINE YOUR BUSINESS – NATIVE STYLE! Many businesses struggle to find a form of marketing that works and guess what… The answer is NOT necessarily to spend more money! The key to having a marketing solution that works is to map out a plan that utilizes effective tools for promotion, ensuring their suitability for your business and your customers. But guess what else!? Not all advertising has to be SALE SALE SALE to get results. There’s this pretty neat concept referred to as “Native Advertising”, which is a form of paid advertising where the Ad itself doesn’t look or act like an Ad! Wait… what? No, really – I’m serious. Native Advertising is one of the most powerful forms of advertising because it gives readers what they want – A STORY – (not another Ad) with what us marketing maven’s like to call a soft sell for your business. So HOW will Native Advertising work for you? Rockhampton Grammar School have taken native advertising a step further with 8 pages inserted into the newspaper specifically designed to look like part of the paper – not an insert that screams out ADVERTISING! To see the RGS native advertising, Click HERE. So… what do you believe receives more attention from the majority of readers? What do you believe actually engages the reader? Your STORY? Or your ADVERTISEMENT? Email Renae, admin@apap.com.au to find out more! AFS Men’s Shed @PCYC welcomes unemployed youth, but they need to get this message to them. Can You Help?Men’s Shed’s are primarily set up for the well being of men, mainly those retired, through companionship and opportunities to work on community projects.The AFS Men’s Shed @PCYC, located under the North Rockhampton PCYC in Stapleton Park also has as its purpose to mentor youth. They regularly help teach students from the Rockhampton North Special School trade skills.They are also willing to help interested youth learn the work skills they have acquired which may assist in gaining employment. If you can help spread this message please do. Youth unemployment needs to be addressed from all levels. This type of help needs to be highlighted.Men’s Shed’s are not for profit organisations and once established are reliant on donations of cash, tools, materials and machines. Please consider assisting them. Donations for the AFS Men’s Shed @PCYC can be left in the marked boxes at AFS Pharmacy’s.If you have something in your shed that with some restoration work is of some value, consider contacting the AFS Men’s Shed @PCYC as they may take it off your hands, restore it and sell it to raise funds. Want to be listed in the RING Business Directory like Mel & Branton Hibbett at Leaholme Rise Alpacas!? 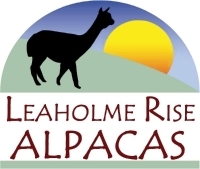 VISIT THE LEAHOLME RISE ALPACAS FACEBOOK PAGE! 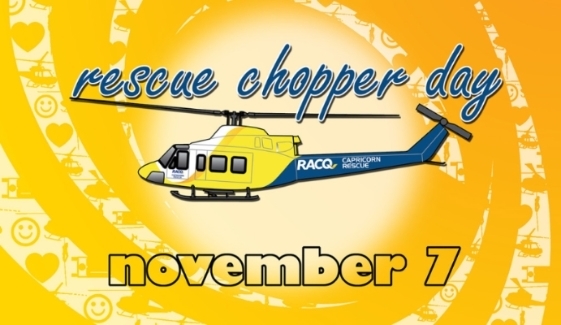 Looking for something fun, free and interactive to do in Rockhampton? – live reptiles & Qld Museum exhibits! The Rockhampton Innovative Networking Group (RING) is supported by our locals at Advertising Planning and Promotions, Capricorn Enterprise and YouthInvest. You are probably becoming aware that online media is fast becoming the mainstream way to advertise with more and more people searching online. Welcome to the new apap website. Recently having completed some further training in website design and search optimisation the team at apap felt it was time to practise what we preach, and whilst we deliver the latest and the greatest for all our customers, we had yet taken the time to put these services into practise on our own website. Now we have. We hope everyone enjoys our new website. How long has it been since your website was updated?